I had been enjoying my three day weekend, especially spending time with my wife. It’s not often that Valentine’s Day falls on a weekend, and when that is combined with the President’s Day holiday the whole weekend becomes an extended lover’s holiday. Gallantry prevents me from further elaboration. 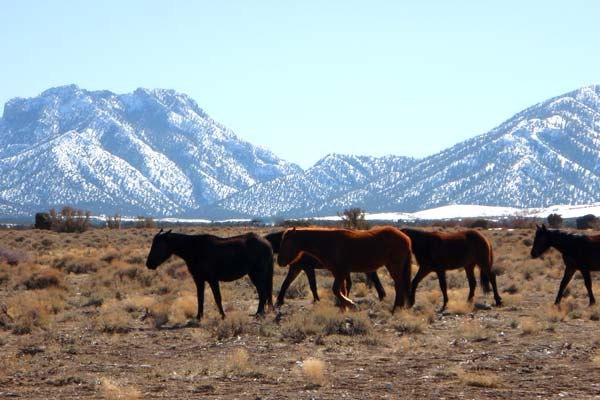 The weekend weather was sunny and warm, although I did not think it too unseasonable for southern Nevada in February, except that it followed an unusually wet January and first-half of February. Contrasted against four weeks of relentless clouds and sprinkles this weekend weather seemed especially nice (another enhancement to the romantic weekend). I must admit, however, that the change in weather was prompting my thoughts toward fishing. 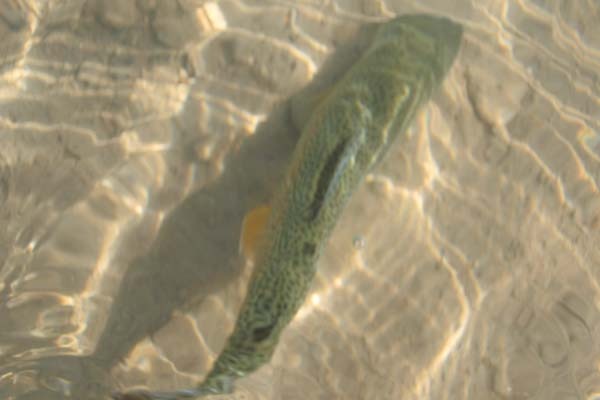 I recently noted that Baker Reservoir was iceless, and that Dacey Reservoir at Wayne Kirch was also partially free of ice and entertaining a float tuber or two, or so indicated the Nevada Division of Wildlife web site. I really didn’t want to take away from the special weekend I was sharing with my bride of thirty years by taking an all-day adventure, but I admit I saw a window of opportunity early Monday morning when I knew she would be sleeping in. I decided to run up to Cold Creek. 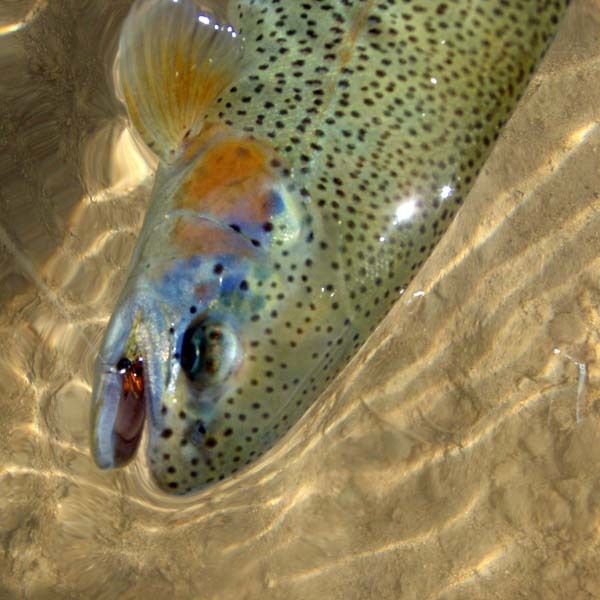 Maybe some of the Tasmanian rainbows stocked from Mason Valley Hatchery last October held over from the coldest part of winter. 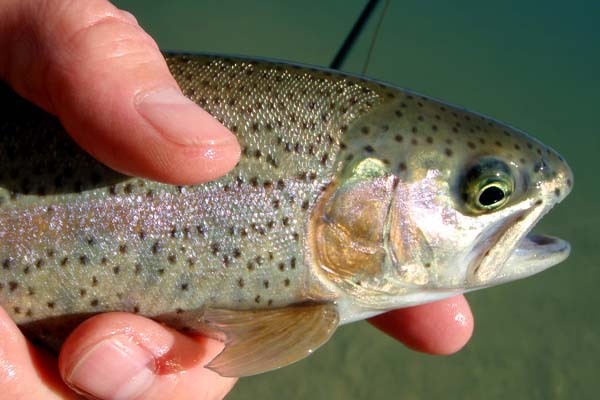 Although I wanted to feel a trout on my line again I really didn’t care if I caught anything; I just wanted to get out in the sun up in the Spring Mountain foothills to clear my thoughts a little before Tuesday brought the budget woes back into my foresight. 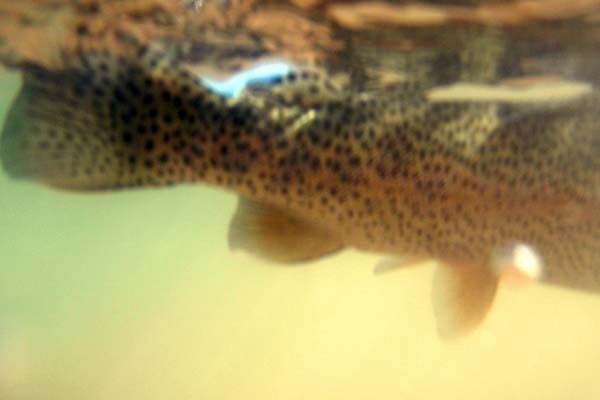 I grabbed my little home-made seven-and-one-half foot fly rod and my Orvis CFO reel and took off about 8:30 am in order to arrive as the water was warming. 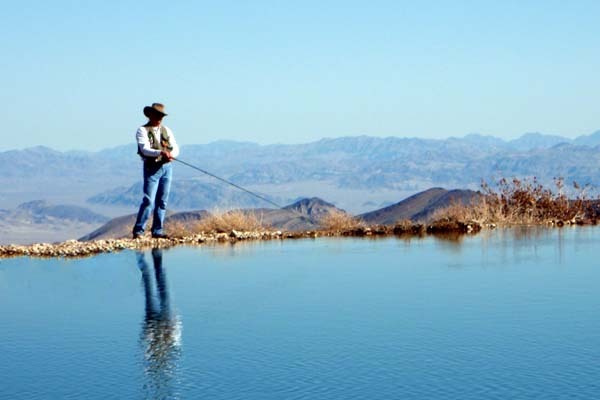 Upon arrival I noted a lone fly fisherman on the pond, which I took as a good sign. I got out of my truck to assemble and string-up my fly rod and we engaged in a little conversation. He told me his name was Mitch, and that he was still learning the nuances of fly fishing. He had fished Montana and that seemed to “set the hook”, so to speak. He was a very affable guy, and we shared notes along the morning. He did not have a sinking line, and was having some trouble getting his fly down to the trout which were obviously closer to the bottom than the surface. He was using Hare’s Ear nymphs that he tied himself dropped from a floating line on which he affixed a foam strike indicator. Despite his inability to get the fly deeper, he hooked up with several fish throughout the morning. I offered him some advice on fishing with sinking lines and I gave him a fly (Callibaetis nymph) and a split shot weight to compensate for his floating line. As I mentioned in my November 11, 2009 blog, I am very partial to sinking or sink-tip lines for lakes, reservoirs, and ponds. 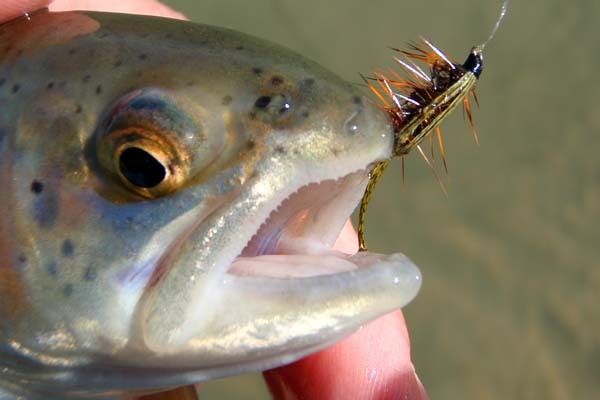 My experience is that ninety percent of the time trout feed under the surface and a sinking line will get your fly there more efficiently. A heavily weighted fly or a split shot on the leader can help, but then casting is more difficult and the fly won’t act as natural. 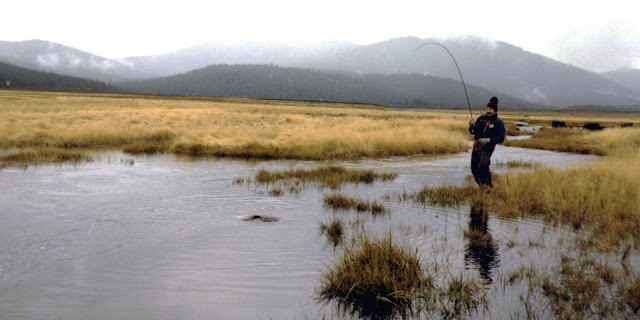 I would save the weights for nymphing on steams and creeks, not on still waters. Irrespective of my advice and his tackle limitations, he seemed well on his way to learning the craft. After an hour or so I asked a few obligatory questions: how long have you lived in Las Vegas?, where did you move from?, what do you do for a living?, etc.. As I have often noted, coincidences seem to occur when I’m out fishing. It turned out Mitch and I work for the same employer. I asked about his supervisors and managers, and I discovered I know them all very well. Sadly, we discussed the impending budget cuts at work and their potential impact on his employment. His revelation put a slight pallor over my morning adventure. You see, I was using this little excursion to clear my mind of thoughts about balancing budgets through cutting of programs. I never imagined running into a fellow employee who was at risk, so to speak. Perhaps Mitch was there to clear his mind, to re-assess his future amid the economic uncertainties. Interesting how the Lord puts things into motion sometimes. I will say a special prayer for my fishing buddy, Mitch, as well as all the others awaiting their fates as we finalize our fiscal year 2011 budget. 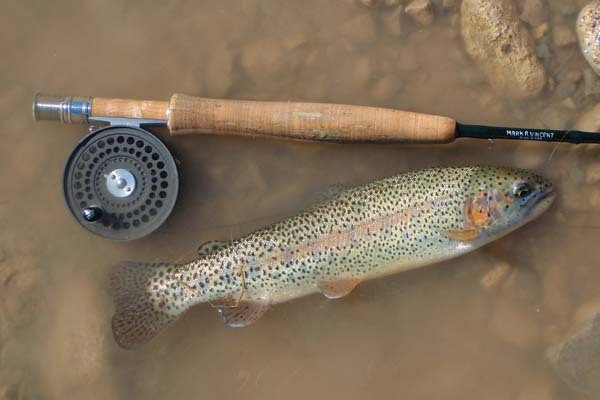 If Mitch's job becomes a casualty of the impending budget cuts at least I know he will find much solace while fly fishing for trout, wherever that may lead him.